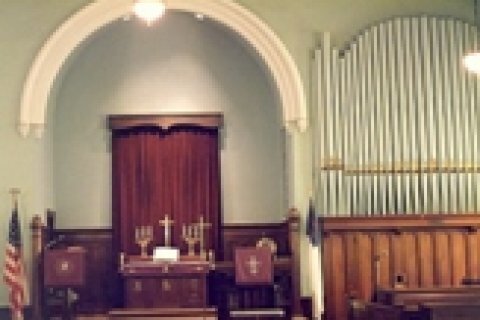 For over 225 years, Evangelical Lutheran Church (ELC) has met the needs of our members and the Greencastle community, and we look forward to many more years of worship and service. The first indications of a worshipping community are in 1778. 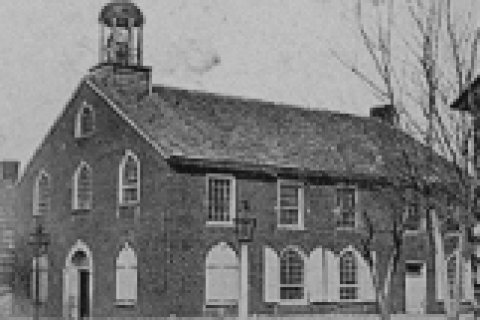 The congregation was formally founded in 1792 under the call of the Reverend John Ruthrauff, who was involved in establishing several Lutheran churches in Franklin County. On September 13th, elders and deacons placed the founding documents in the cornerstone of the first church building; the building was dedicated in 1798 under the name “Zion’s Church”. 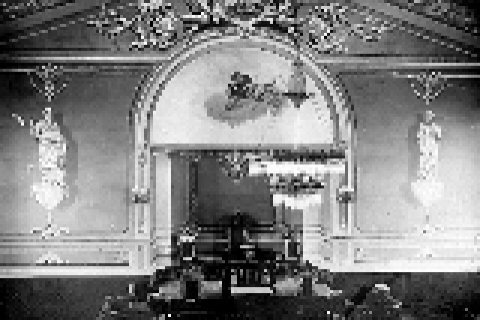 The Zion name phased in and out of the congregation through its history until 1956, when the name was finally dropped at a congregational meeting in favor of “Evangelical Lutheran Church”. ELC’s current building is distinctive as the “big yellow church” in Greencastle, and its steeple spire is the tallest point in town. We, the members of Evangelical Lutheran Church in Greencastle, Pennsylvania, are called and gathered by God to proclaim the Gospel of Jesus Christ, administer Sacraments, and teach and encourage people to live the Christian life. As a community of believers in the Lord Jesus Christ, we, as a congregation, welcome ALL people into Evangelical Lutheran Church’s community of faith. With God’s help and the guidance of the Holy Spirit, we will do our utmost to be inclusive, caring and helpful to visitors and members of the church. We, as the body of Christ, will make every effort to meet their spiritual, emotional and physical needs. We acknowledge that we have a changing world, and as an inclusive and caring people, we want to be open to the future. As a congregation, we want to be warm and generous in our actions toward all people realizing that we are being piloted by our Lord Jesus Christ. Evangelical Lutheran Church is a congregation of the Lower Susquehanna Synod of the Evangelical Lutheran Church in America.